As we approach the end of the month I was quietly reflecting back on the mad weekend that penned a whole series of "Troll Date with friends" blog posts aided and abetted by Pauline, aka Guest Blogger and Troll Date Organiser Extraordinaire! It seems hard to believe that it was only 4 weeks ago I became the proud (but slightly apprehensive) owner of a bangle and collected the first of my Summer Stones Kit. Roll that forward 4 weeks and I've now got 2 bangles and a whole host of Summer Stones that I've still not managed to blog about yet (due mainly to having difficulties getting good photos of those pesky amethysts)! Not to mention the various ooaks, accessories, small and beautifuls, critters, artisan beads and another amethyst that have crossed my path in that time. My thoughts turned to our lovely retailers and how it must be for them, so I decided to ask one of them what it's like getting ready for bead hungry collectors to descend on your store! "When Pauline told me she had organised a special Troll "meet up" I wondered what I could do to make it extra special for the lovely Trollies coming? I contacted my Head Office to ask if I could get my hands on a selection of uniques and they said "Yes". I was expecting a handful but to my delight they told me they had organised for 34 special beads to arrive! Mars asked if we would be getting the new release of beads for the meet up as by pure coincidence the Troll Date had been organised on the same day... special request actioned! The uniques arrived in the shop and what beauties. I immediately knew which one Mars would bag and had a good idea which ones Pauline would love. Having seen Alison's beautiful combinations online, I guessed she would love some of the oranges. My biggest challenge now was to ensure that none would disappear onto my colleagues bracelets!! So into the safe they went with a big "DO NOT TOUCH" sign on them. Two days before the actual meet up 3 sets of the Summer Stones arrived... Wow! The day of the Troll meet up finally arrived, wine chilling in the fridge all ready. It's always a pleasure to see Pauline, Mars and Emma but I finally had the opportunity to meet the lovely Alison. Wine in hands I presented the first tray, the uniques, and they did not disappoint (phew), Mars went straight for "her" bead and before I knew it the stock was somewhat depleted. 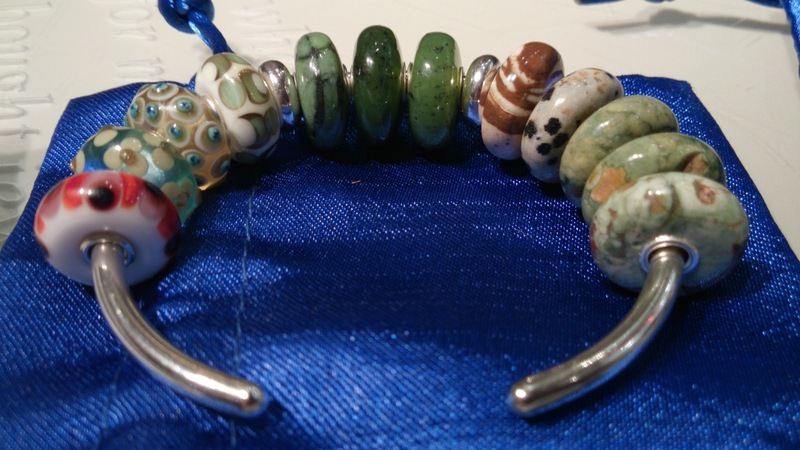 Next the Summer Stones, Mars fell well and truly off the bead wagon diving straight in with a new bangle to put them on! 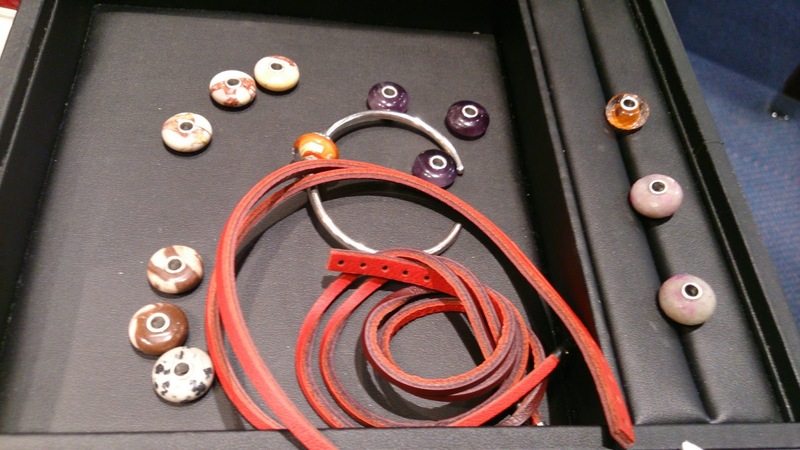 Then out came Pauline's "special box" of reserved beads with some gorgeous Royal Oranges and a Red Bordeaux Leather bracelet for Alison. 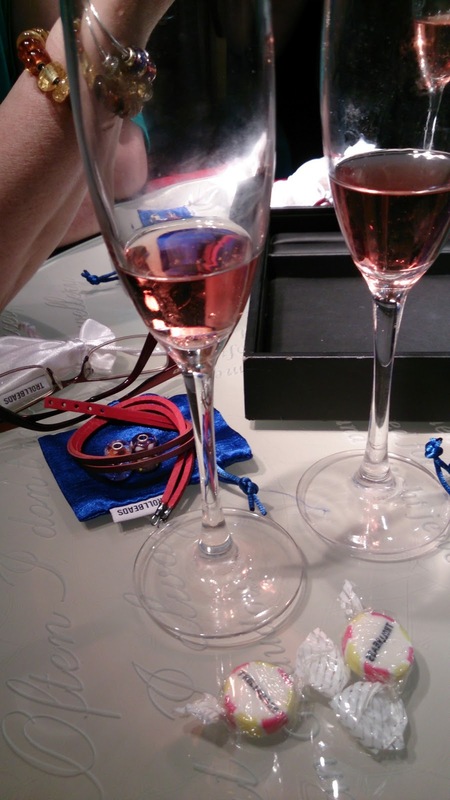 Bead in bags, gloves for sparkling their treasures and wine topped up we proceeded to have a catch up for the rest of the day. Love my beads and the friends they bring. Thanks Lizzie for taking the time and effort to explain what goes into the behind the scenes preparation! I used to have a lovely local retailer who'd go to crazy lengths to organise meetings and events for us. Unfortunately she left the area and wasn't allowed to take the brand with her. There's such an enormous difference between a good retailer and a bad retailer - it's not just their knowledge for me but their enthusiasm! I wasn't there of course but huge thanks to Lizzie for such efforts! 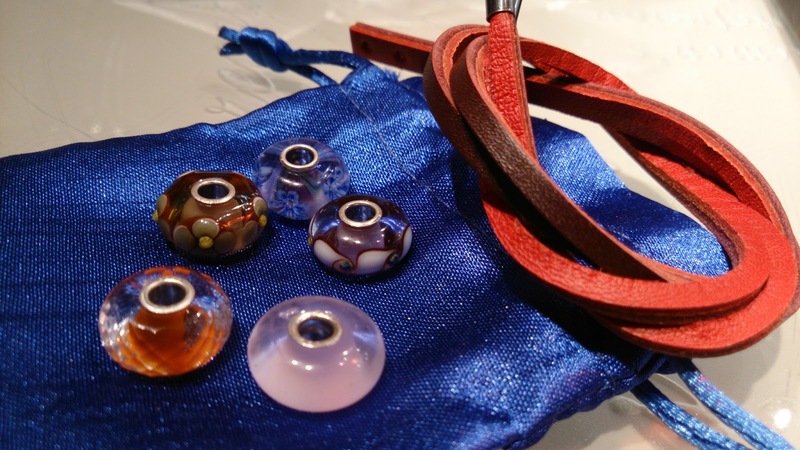 Such a shame about your local retailer, sounds like a real missed opportunity for Trollbeads! I don't understand the logic of not having shops that close together, good shops will always do well and it's nice to shop at both as a customer! Lizzie is a star, her shop doesn't usually carry uniques so it was a really fab surprise to have these, I think we did her proud by trying to buy nearly all of them! 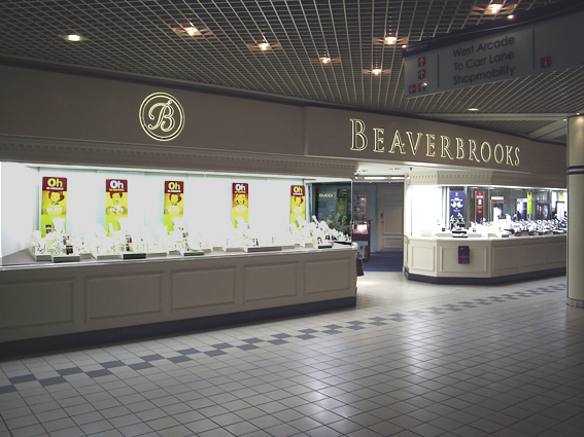 Her team are just as good, great bunch of staff who are really knowledgeable and friendly, they are all a credit to both Beaverbrooks and Trollbeads! Yes I liked your "special box" of reserved beads, such a great idea! I'm still so impressed a month later that Lizzie and Beaverbrooks got those uniques for us, I'm getting loads of use from my cream and green one in particular. Only trouble with buying so many beads in one go, is I can't wear them all at once!